Working 9-5, and Trying to Get Your Online Biz Up and Running? Okay, I get it, you are on total overwhelm trying to get your new business up and running. You know you need a website, but there are so many platforms. You know you need to be on social media, but what channel?? And how often? Email marketing? How do I even do that? Create a free opt-in? Run Facebook ads? Sounds confusing? Not sure where to focus first? Website. I do believe you need a website, but it can be simple. You can either do it yourself, or hire someone to create your site. I highly recommend you use WordPress as your platform, and make sure your new site is mobile friendly. Many of your viewers will be on mobile, and Google now penalizes you by not ranking you as high if your site is not responsive. So if you hire someone to build your site, make sure they build a site that is mobile friendly. Ideally you also sell something on your site, even if it is just a simple e-book. Don’t forget, you are in business to make money! For more on my 10 must haves for a profitable website, click here to download my free guide: The Profitable Website Cheat Sheet. I say do one channel well, and then add another as you get more comfortable. Choose the site where you are most comfortable posting, and where you think your audience is. If you are not sure, Facebook is a pretty safe bet for most of us. The key with social media is to post good content, consistently. And when people comment, or share your information, have conversations with them. Social media is just another form of networking, and word of mouth. You want to become a resource for your audience by providing great reliable content. Post a minimum of a few times a week, but don’t feel like you need to be posting ten times a day, there is such a thing as too often!! Building an email list is very important. You might have a big following on social media, but you still want to build your list. Why? Well, what if Facebook shut down, or decided to shut down your page? Those followers would be gone. Use social media to grow your network, and then to drive traffic to your site. Make sure your emails are helpful for your audience, you don’t want to just be selling in your emails. A good rule of thumb, is to provide 80% free content, and 20% selling. If all you do is sell, people won’t want to open your emails. Creating a great opt-in probably the best way to grow your email list. If you haven’t done this before, think about what would be great for your audience, what would help them. Don’t be afraid to give away great content. Giving away your best stuff is what is going to create trust. Your opt-in can be as simple as a pdf. You don’t have to overcomplicate it. If you are not a designer, sites like Upwork are great for finding designers at reasonable prices to help you with your layouts. 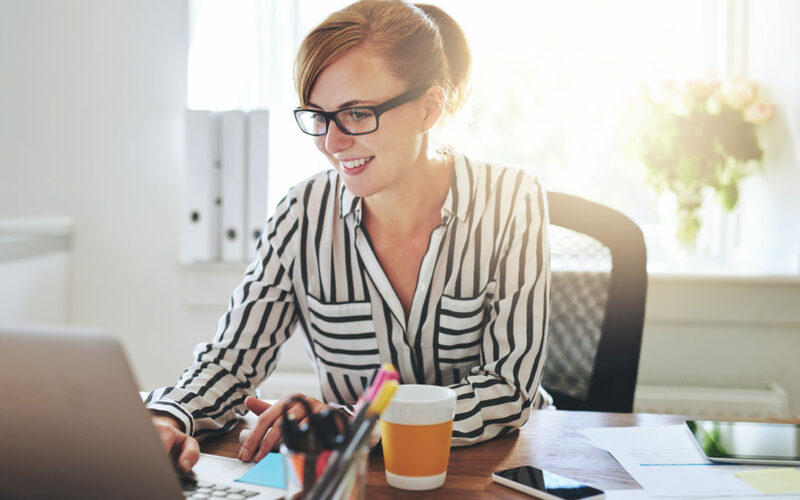 I would say these are the basic elements that you want to have in place to get started establishing yourself as an expert in your field, and attracting your ideal customers. 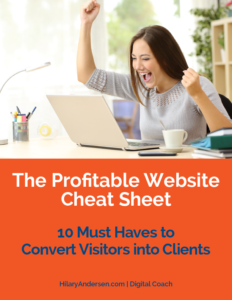 Click here to download my free guide: The Profitable Website Cheat Sheet: 10 Must Haves to Convert Visitors into Clients.